A software built by those who understand the business. The hqbeds is an ambitious idea of two geeks who knew how to program systems but did not understand anything about hostel management. Until we opened one. After backpacking through the world, it’s difficult to go back to the office life. We had already worked together and opened the Café Hostel to keep our backpacker spirit alive. It made us realize that managing a hostel – and doing it well – asked for more than a bed sheet: we rolled up our sleeves and used our background as programmers to create hqbeds and handle the demands of a growing hostel. The role of a property management system is to optimize the operation, from basic activities such as check ins and check outs, to financial management. With a good PMS you don’t need to worry about counting every single beer bottle – just check your stock report. You delegate tasks and your staff works in teams while you manage your entire operation centralized in a single, cloud-hosted software, always online and accessible from anywhere and any device – it’s the XXIst century, after all! More than just making it work, we want your business to grow. The peculiar informality of the hostel, which we like so much, does not make its business less serious. You have to analyze your performance, get to know your audience, discover your strengths and draw up a plan for your business. Hqbeds structures the data intelligently and is a powerful tool in the hands of the owner who does not want to be spinning dishes postponing the next bad review, but wants to chase after the 5 star review. With a good PMS there is plenty of time to ask the right questions. How to increase direct reserves? How to apply all this data, reports and occupancy rates? How to attract the guests I want to have? Not all answers are technical or fit into one system. We released hqbeds as a channel to share what we learned, discuss concepts and encourage new entrepreneurs. The predatory mentality of the “each one by itself” is outdated and does not match the effervescence that we live in the lodging industry. We are committed to fostering a learning ecosystem and, working together with our customers, continue to think of next steps to make hostel management simpler and more efficient. 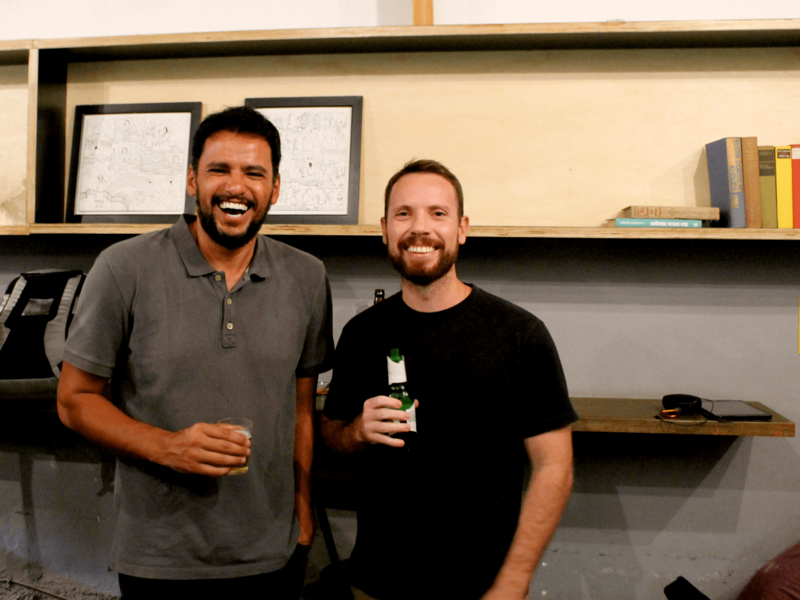 Rogério and César, hqbeds founders.